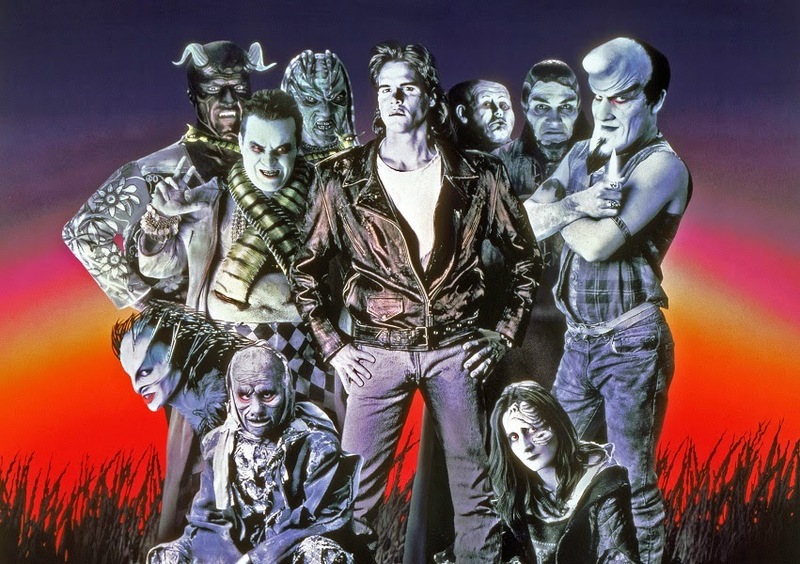 CinemaSpection: The tribes of the moon return with the Nightbreed Director's Cut! 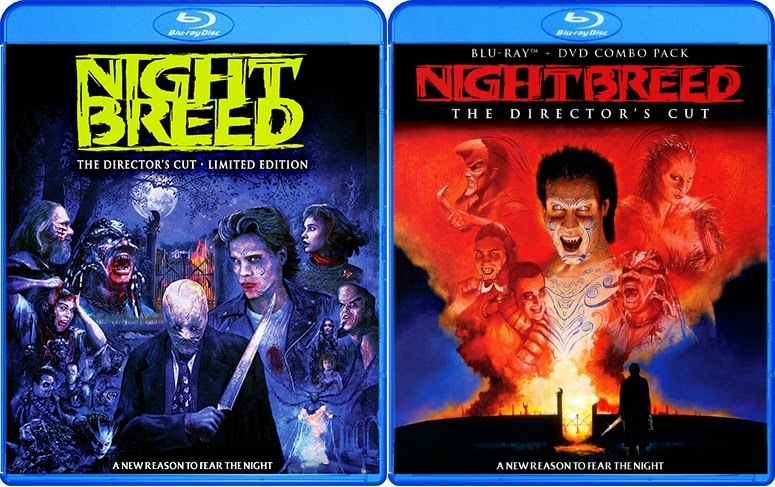 The tribes of the moon return with the Nightbreed Director's Cut! Horror fans and creatures of the night rejoice! This week, some official details regarding Scream Factory's long-awaited release of Clive Barker's horror epic Nightbreed have finally come to light. As you can see, there will be two editions, a special limited edition which will feature both the extended and original theatrical cuts of the film on blu-ray with additional features and a lower-priced blu-ray/DVD combo featuring only the extended version of the film. Only 5,000 of the limited edition will be produced and those who order from the Shout Factory website will get their copy two weeks early and receive a free poster of the cover art while supplies last. Both are set for release on October 28th. Perhaps the best news is that it's been confirmed that in preparation for this release, the original film elements have finally been located so that the additional scenes included in the director's cut will be of the best quality possible. Previously, a VHS workprint of the lost footage had been used to create the Cabal Cut, a longer version of the film that exhibited at special engagement recently to drum up interest in a DVD release. It was feared this much degraded videotape would prove the only source of the missing material that could be found. It's also worth noting that the extended version is not being touted as the Cabal Cut, which makes sense as from what I understand, the Cabal Cut was more of an assemblage of all the lost footage and was re-edited and adjusted throughout its exhibition. This suggest this extended edition will be closer to Barker's original intentions for the movie. For those who aren't aware of the film, it's Barker's adaptation of his novella Cabal and focuses on an underground civilization of legendary shape-shifting creatures who face annihilation at the hands of mankind when a troubled young man attempts to join the tribe and accidentally exposes their hiding place to the outside world. Featuring Craig Sheffer, Anne Bobby, and director David Cronenberg in a rare starring role, it's a bravely ambitious production that asks its audience to side with the so-called monsters and was intended to be, as Barker put it, "the Star Wars of monster movies." Barker had tremendous difficulties bringing his full vision to the screen as sizable portions of the film were cut out, actors were dubbed over, additional scenes were added (including a clunky twist ending), the MPAA objected to the level of violence in the film and a terrible marketing campaign was conceived to sell it as a slasher film utilizing poster art from an entirely different movie! Major kudos to everyone at the Occupy Midian group on Facebook, who tirelessly supported and promoted this release and proved there was a market for it. The discs can be pre-ordered through Shout Factory's website. Those aiming to pick up the limited edition should probably do so quickly. For those who've never seen the movie, congratulations; you'll have the chance to be introduced to this unique flick as it was originally intended to be seen.